Bi-fold doors open almost fully to create beautiful views of the outside and ventilate your home. Our uPVC bi-fold doors open almost completely to deliver beautiful panoramas of the outside. 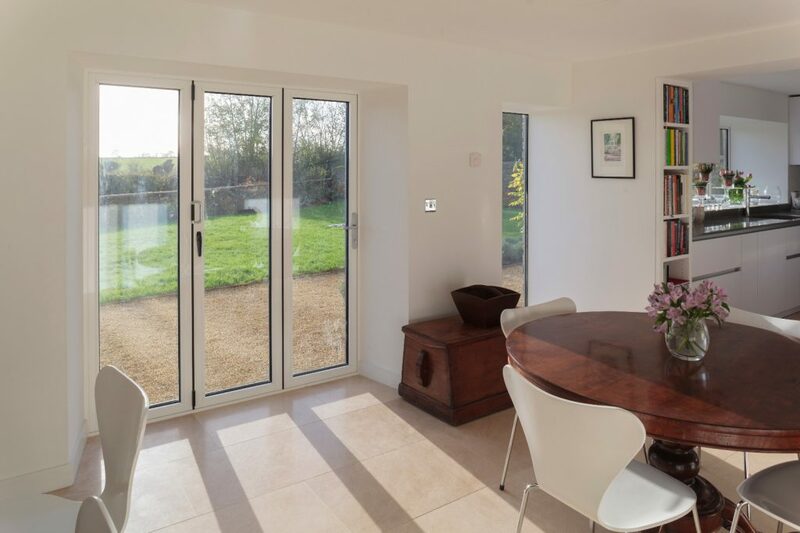 Although they can be opened to let the outside in, your new uPVC bi-fold doors will also keep the world out – but without forcing you to compromise on light. Even when closed, the extensive amount of glazing in your doors will keep your room light and bright. 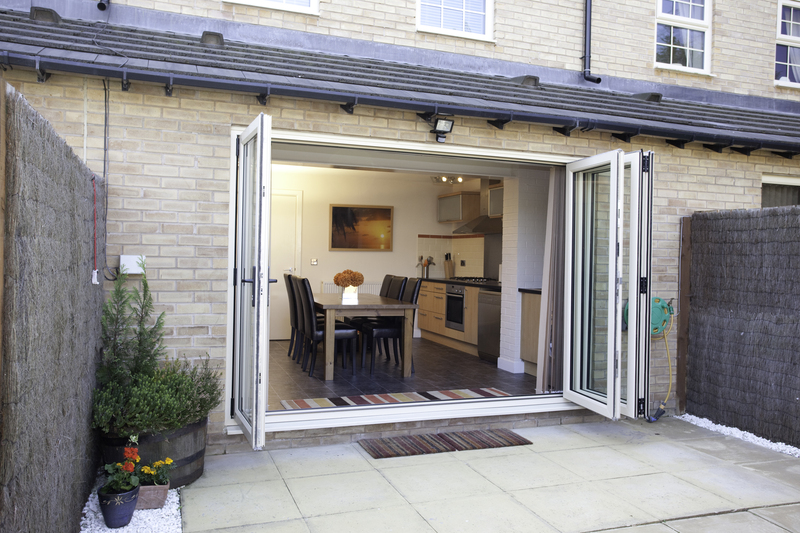 uPVC bi-fold doors can complement traditional or new-build homes. Our experienced team will be able to help you build your perfect door – resulting in an installation that blends in effortlessly with its immediate surroundings. Customise your product by browsing our exquisite range of colours, finishes, hardware and accessories to create a fully personalised design. Looking For Bi-Fold Door Quotes? Use our design tool to generate a bi-fold door quote within moments. 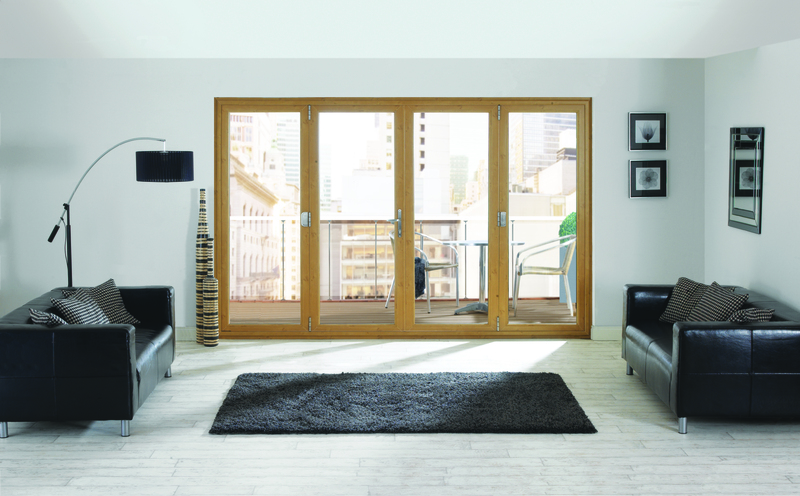 The configuration of bi-fold doors means they offer a range of unique benefits that are hard to ignore. Here are just a few of the features built into each of our designs. Build uPVC bi-fold doors your way by picking and choosing from our portfolio of exquisite colours and foils. Contemporary and traditional styles are fully achievable when you choose Hertford Glass as your installer. Add a woodgrain foil if you want to replicate the authentic appearance of wood. Alternatively, keep your frames white and embellish them with silver or chrome handles to create an impactful modern design. 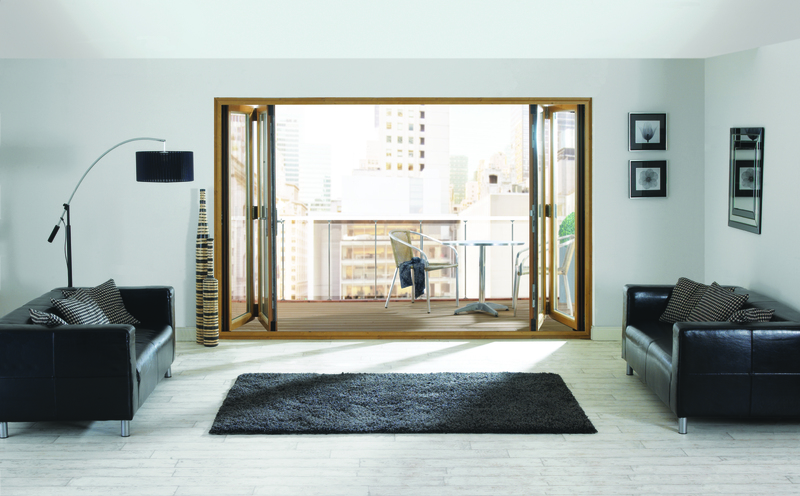 uPVC bi-fold doors open to near threshold width. Because they collapse into a concertina shape to the side of your home, no visual obstructions are presented. The extensive use of glazing used throughout each bi-fold design means your room will be flooded with light and your spaces seamlessly connected. The combination of lots of glass and a wide access point make uPVC bi-fold doors the perfect choice – whether you’re entertaining or relaxing inside. Keeping your home warm and comfortable year-round is important. Our range of uPVC bi-fold doors is fitted in each case with market-leading features designed to keep the heat in and prevent cold air out. 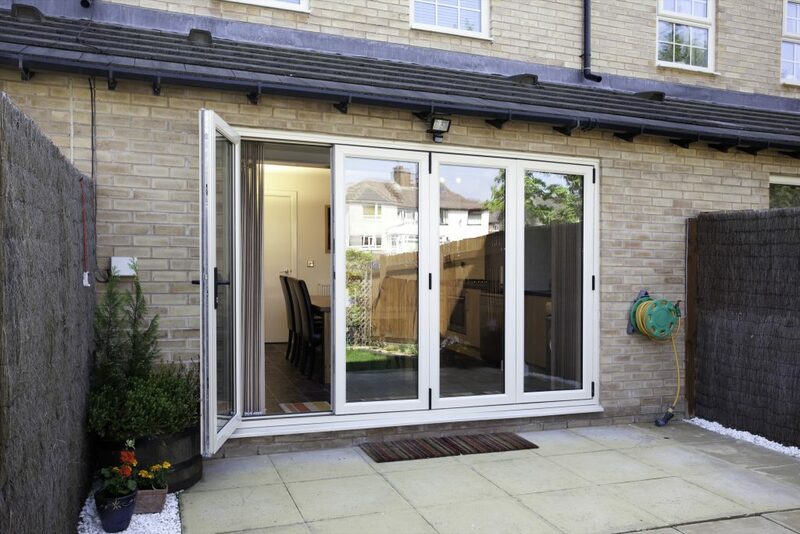 uPVC bi-fold doors fitted by Hertford Glass are each equipped with high security locking systems capable of repelling almost all attempts to gain access to your home illegally. 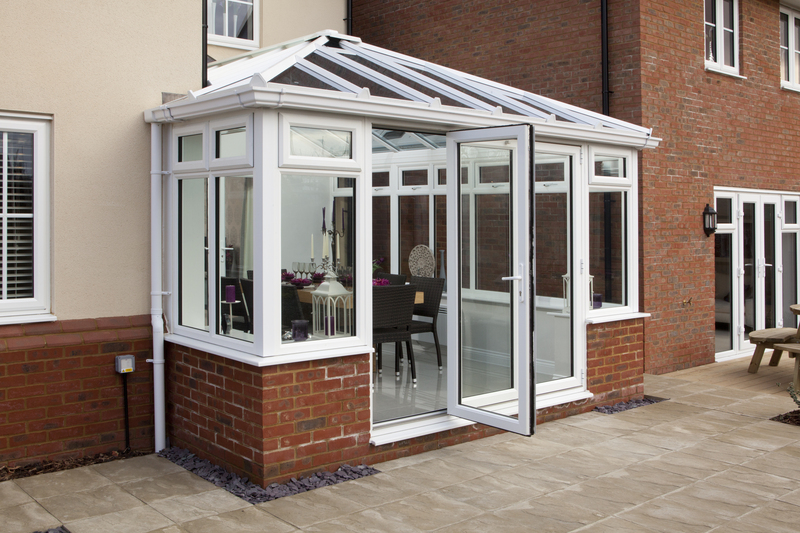 Because uPVC is incredibly strong, your installation will also stand up well to hard impacts – caused either by extreme weather conditions or intruders trying to gain entry. The safety features built into each of our bi-folds will, in most cases, prevent injuries caused through improper operation. Contact us for more information about this feature. 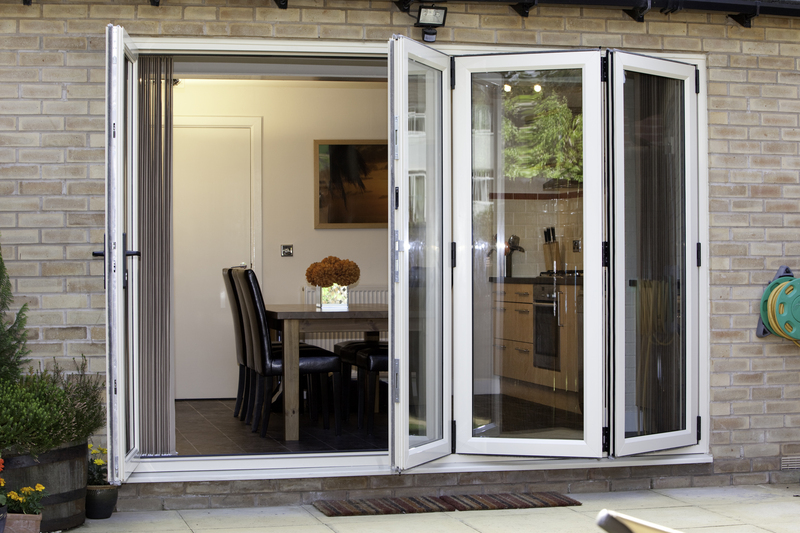 We’ve taken great care to source our uPVC bi-fold doors from the UK’s best manufacturers. Incredible aesthetics driven by incredible modern technology combine to deliver profiles that are industry-leading. We invest in the quality of our products and service, so our customers can buy from us with confidence. That’s why we belong to the GGF, FENSA and the industry-recognised Which? Trusted Traders scheme. For competitive prices matched with incredible performance and aesthetics, contact the Hertford Glass team. Phone us today on 01922 582 351 or use our enquiry form to request a call back at a convenient time. If you want an online uPVC bi-fold doors quote only at this stage, visit our design tool. Enter details about your preferred product – for example, colour and measurements – and receive guideline prices shortly afterwards. We can help in other ways too. 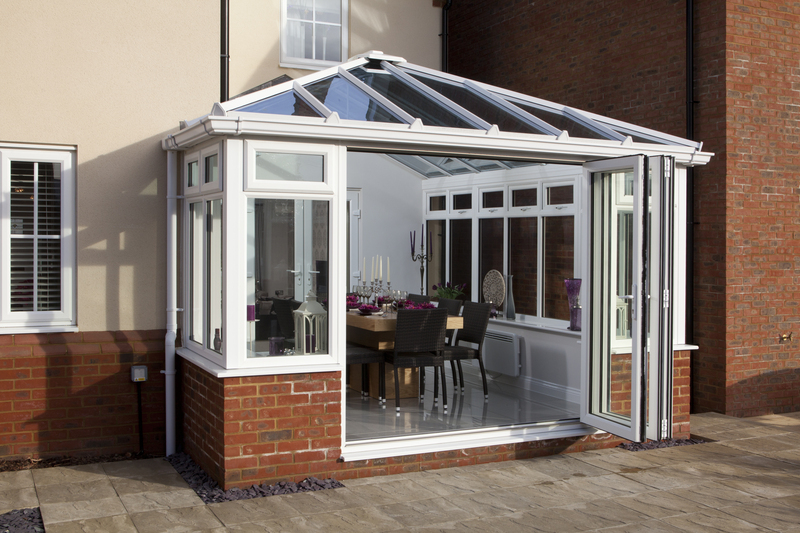 Visit our range of conservatories, windows, roofline and other products if you need help with a large project. We can provide further details and prices when we talk to you about your requirements. Find out more about our stunning bi-fold doors in this video. Choose the perfect configuration for your property and transform the space of your home.